The Mobile World Congress in Barcelona - where the world's mobile manufacturers showcase their upcoming products - is coming to an end. We look back at the most significant highlights of the conference, and which handsets to look out for over the coming months. This article covers the flagship devices on display, and Part 2 looks at midrange and budget handsets. Samsung's latest flagship device builds on the massive success of previous Galaxy S phones. From a design point of view, it's very similar to the S4 and S3 - one of the more notable changes is the dimpled back, which is meant to help it feel a little more grippy. 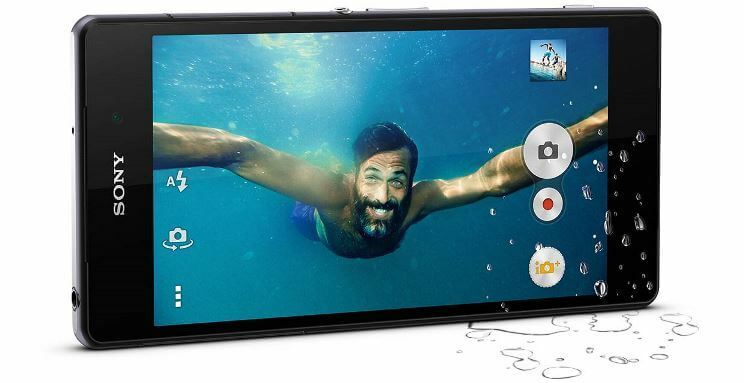 Like the Sony Xperia Z series devices and Samsung's Galaxy S4 Active, the S5 is water resistant, which is a welcome addition. Samsung are betting heavily that buyers will want to use their fitness tools. In addition to announcing three fitness based wearables, the S Health app has been upgraded and a heart monitor has been included right next to the flash. The S5 also has a fingerprint sensor, like the iPhone 5s and HTC One Max (amongst others). It works by swiping your finger down over the home button, and allows you to do several things. As expected, doing so will let you unlock your phone. It also lets you protect and lock/unlock a private data folder on your phone for files and data you want to keep protected. Samsung also announced a partnership with PayPal which allows payments using the fingerprint scanner. Something Samsung has not yet addressed is the inevitable security concerns that comes with using biometric data - hopefully they will soon. The camera functionality appears to have been substantially improved over the Galaxy S4. We now have a 16 megapixel sensor and 4K video recording capabilities (four times the pixel count of Full HD video). But resolution and megapixel counts are only part of the story, and mean little if picture quality isn't improved. To that end, Samsung have included a real-time HDR mode for photos and video, and a selective focus feature where you can change the depth of field on an image after it's been taken. 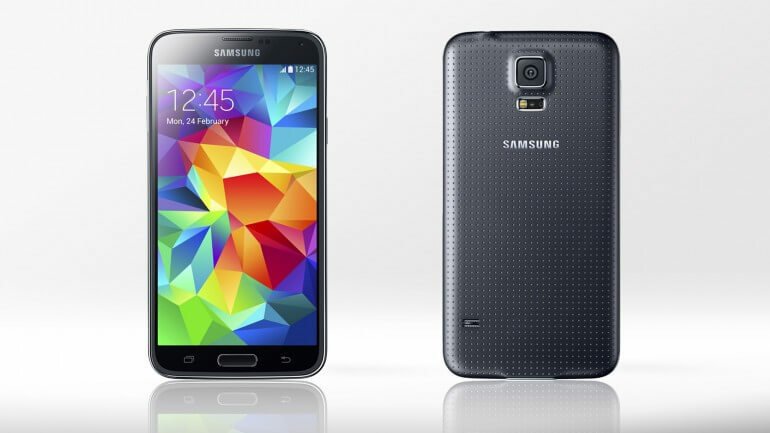 The Galaxy S5 will be released in 150 countries on April 11th and will come in 4 unnecessarily exotically titled colours - Charcoal Black, Shimmery White, Copper Gold and Electric Blue. Use our chart to see how the Galaxy S5 specs compare to the Galaxy S4. Sony has been on good form recently with their devices, with the Xperia Z1 Compact currently ranked as the best-rated phone on HandsetExpert. The Xperia Z2 is a larger phone with a very similar design and size to the Z1, but there are a few significant differences to be found. The most immediate and welcome improvement to the Z2 is the screen quality. Whilst the screen resolution hasn't changed, the colours generated are brighter and more consistent, in line with what Sony has recently achieved with the Z1 Compact - fixing a criticism levelled at the Z1 by numerous reviewers. The processor has been upgraded to the latest Snapdragon 801 quad-core, and is supported by a hefty 3GB RAM. We also get 4K video recording at 30 frames per second, and Timeshift video, which allows shooting and editing of slow motion video at 120 frames per second. Like the Z1, the Z2 boasts an impressive 20.7MP camera, and IP55 and IP58 certification for waterproof and dust-resistant capabilities. The Z2 will be available from March/April 2014 with the typical-for-Sony white, black and purple colour choices with a rather dear pre-release sim-free price of £599. Use our chart to see how the Xperia Z2 specs compare to the Galaxy Z2. 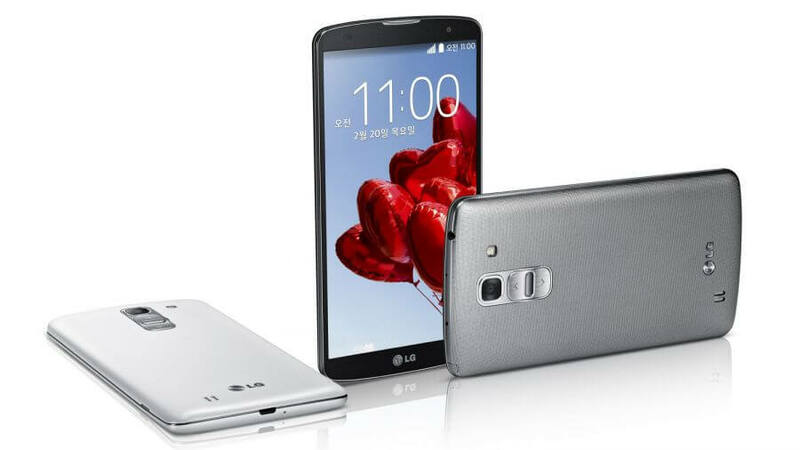 Building on the success of the G2, LG have unveiled a phablet aiming to rival the success of Samsung's Galaxy Note 3. Internally, the G Pro 2 shares a lot of similarities with its high-end predecessor, but there are a few additions and changes. The G Pro 2 sports a 5.9-inch 1080p display with a 13-megapixel rear camera that can record video in 4K., as well as a slow-motion 120 frames per second option. Users will have the option to select the preferred depth of focus before saving their pictures. Another interesting little feature is the 'Flash for Selfie' which reduces the size of the preview screen when taking a picture and adds a bright white background allowing for a softer lighting. LG has retained the unique rear button placement first introduced with the G2, and has extended the KnockOn facility requiring users to knock on a specific area of the screen twice to wake the phone. The latest version is known as KnockCode, and lets users unlock the device by tapping the screen using a combination of locks. There are a couple of other interesting software features. Mini view shrinks the part of the screen used, allowing for easier one-handed use. Dual view is LG's take on Samsung Multi Window, which allows two apps to share the G Pro 2's ample screen. No release date has yet been announced for the UK, but it will most likely be released in May/June. To see our coverage of mid-range and budget handsets, have a look at Part 2 of our coverage.